Adams Media Corporation, 9781440592935, 208pp. You don't have to miss out on these delicious, vitamin-packed drinks just because you're on the Paleo diet--with Paleo Green Smoothies, you can have healthy, flavorful smoothies at every meal. 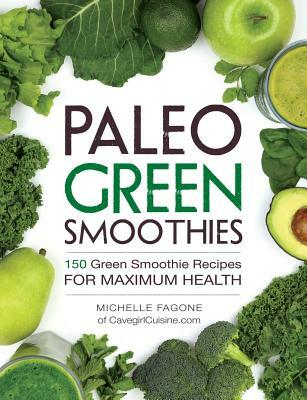 Michelle Fagone is a mother of two young girls, an entrepreneur, and an avid Paleo food chef. She has a passion for healthy living and for sharing her unique insights on her blog (CavegirlCuisine.com) and now her two cookbooks. Despite being a southern gal at heart, her travel and food experiences as a Navy brat and current Army spouse have enabled a unique appreciation for worldly flavors. While comfort is the basis for most of her recipes, you will often find a twist of exciting flavors and combinations, which makes her recipes not only appealing, but uniquely delicious!